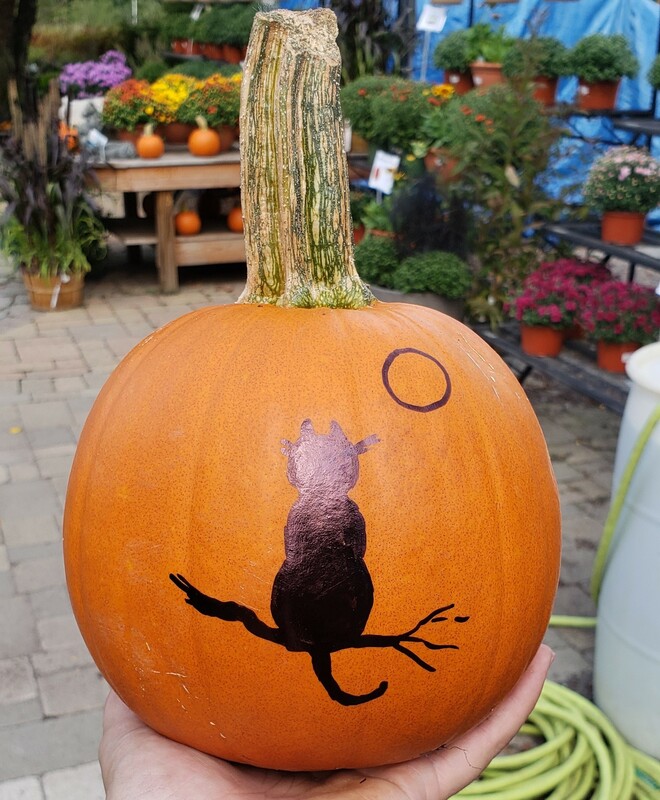 The employees in the Garden Center love fall for many reasons, but playing with pumpkins is our favorite! Pumpkins are very versatile because they come in different shapes, sizes and colors, making the creations endless. Pumpkins can be carved, painted, and even used in cooking. Check out some of our employee creations below! Leaf Decoupage: This year, we tried decoupage. Mod Podge was used to keep these leaves from falling off of the pumpkins. Glitter can be used to add a little sparkle! This creation can be done on white or orange pumpkins and used as decoration or even as a centerpiece for your table. 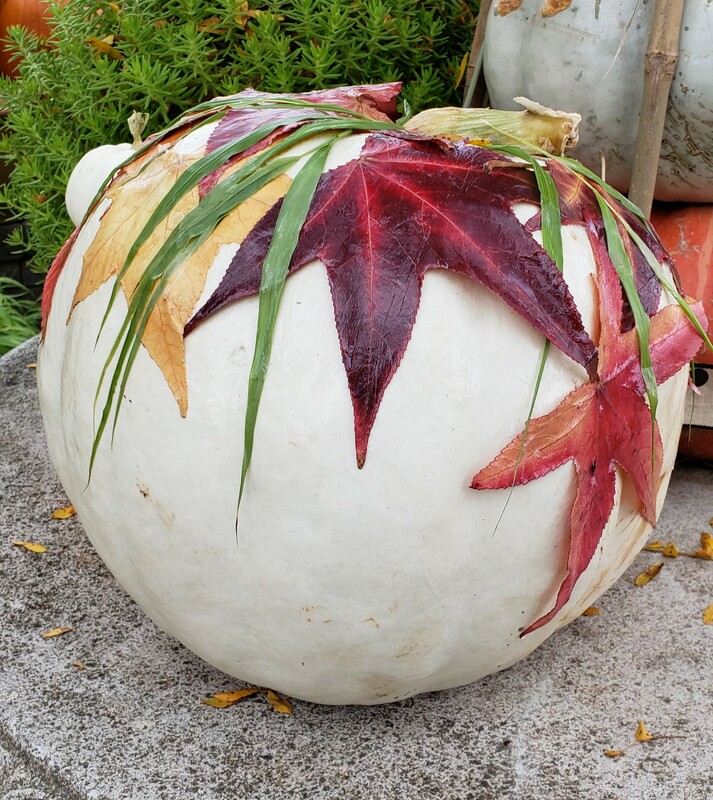 Drawing on Pumpkins: There are some hidden gems among our sugar pumpkins. These pumpkins are small, with cool hand-drawn designs on them. The designs can be fall, Halloween, or sports-related. Consider yourself lucky if you get one, as only a few are done! Front Porch Decorations: This simple “Welcome” sign was created with sugar pumpkins that arrived without stems. Sharpie was used to write the letters out, but paint or stick-on letters could easily be used, too. Holes were made in the pumpkins so that a piece of rebar could hold them up. Trick-or-Treat Pumpkin Planter: Make a Halloween-themed planter with those plastic trick-or-treat candy containers laying around the basement! We drilled holes into the pumpkins and stuck a bamboo stake into the holes and into a pot filled with soil. Use the containers as you wish. We put plants in them! This creation is super cute and fun.